Perfect upbeat into the ADAC SX Cup! Carl Ostermann dominates the opening event in Stuttgart! FOX-youngster and title holder Carl Ostermann started the ADAC SX Cup winning two races clearly. The fourteen-year-old from Bonn completed the fastest rounds by far in time-practice, and also gave it all in both races. 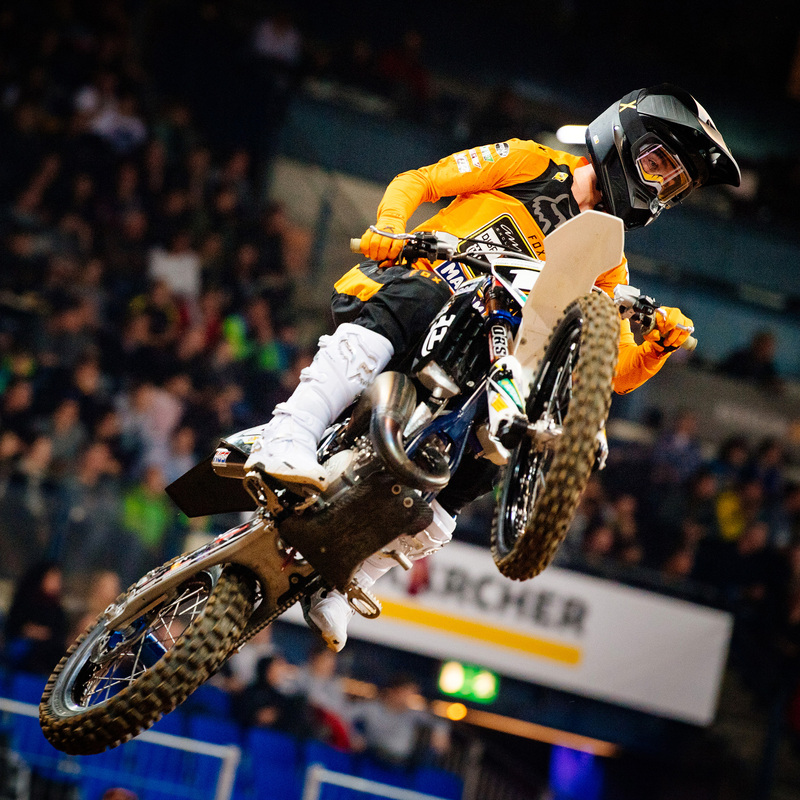 In front an audience of 8.000 in the sold-out Hans-Martin-Schleyer Halle in Stuttgart, Carl demonstrated Supercross skills of the highest technical level, and was unbeatable on both days. It all went according to plan, and I didn’t have to push to the limit to win these races. In a series that has only 6 races, you can’t let anything go wrong. It was a shame that, apart from the whoop section, the track wasn’t so challenging for the 85cc class because the big jumps were not possible. If you want to be quick then, you have to ride cleanly and with technical precision. But that worked really well this weekend. Carl had a great race for the opening round of the ADAC Supercross series. He hit is marks all weekend with a good glow. Next thing will be to tune up his start for the next event.